Looking for a loving pet home. 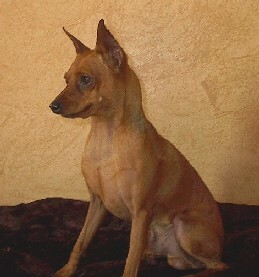 This site is copyrighted, all it's contents including pictures belong to Le Pin Miniature Pinschers. You do not have the right to save or use pictures with out the site owners permission. Graphics are protected by Wolf Den Graphics and may not be used with out purchasing them from Wolf Den Graphics.